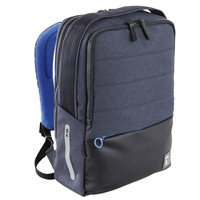 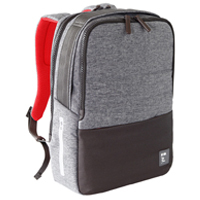 This organized backpack from the Passenger line is equipped with a padded tablet and 15.6" laptop pocket for even the largest laptops, as well as a Power Bank compartment and an internal key ring. 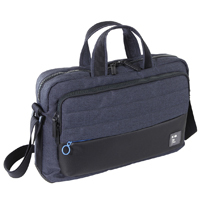 Featuring stain-resistant polyester, its lower part is made of 1200 denier polyester to ensure even greater durability. 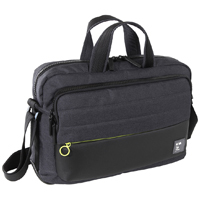 Complimentary 2600 mAh Power Bank and cable included to keep your smartphone and tablet always fully charged! 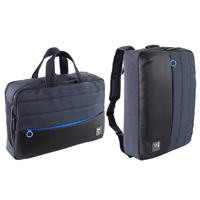 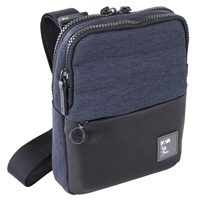 This 2-handle bag with an adjustable, removable shoulder strap from the Passenger line is equipped with a padded tablet and 15.6" laptop pocket for even the largest laptops, as well as a Power Bank compartment and an internal key ring. 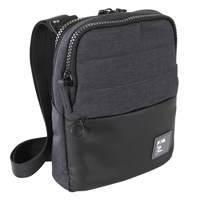 Featuring stain-resistant polyester, its lower part is made of 1200 denier polyester to ensure even greater durability. 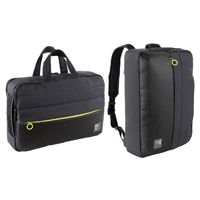 Complimentary 2600 mAh Power Bank and cable included to keep your smartphone and tablet always fully charged! 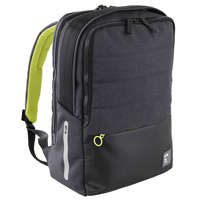 The office bag/knapsack of the Passenger line is designed for people who move around town. On a bike, it can be used as a knapsack, in the metro or on a bus it transforms into a practical two-handled office bag. 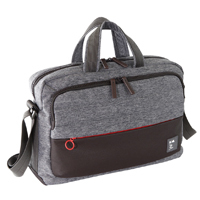 Ideal for office and campus alike.